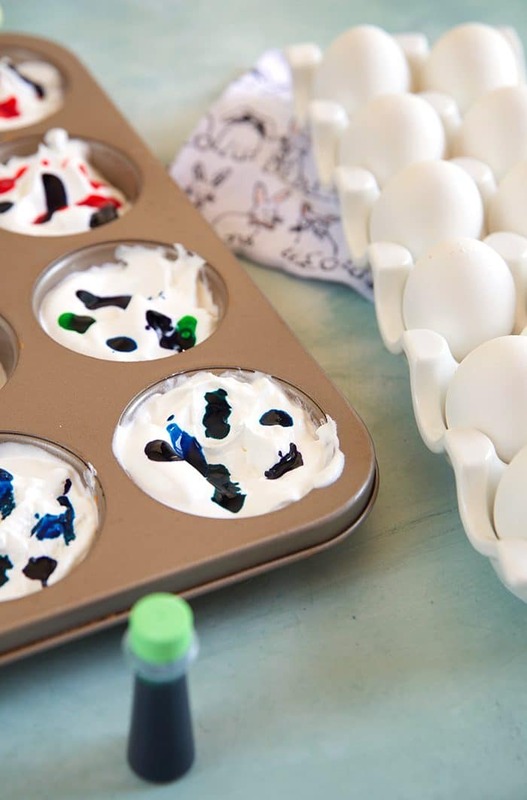 A tastier alternative to the popular Shaving Cream Easter Eggs, these Whipped Cream Easter Eggs are a more sensible and edible way to dye your eggs this year. 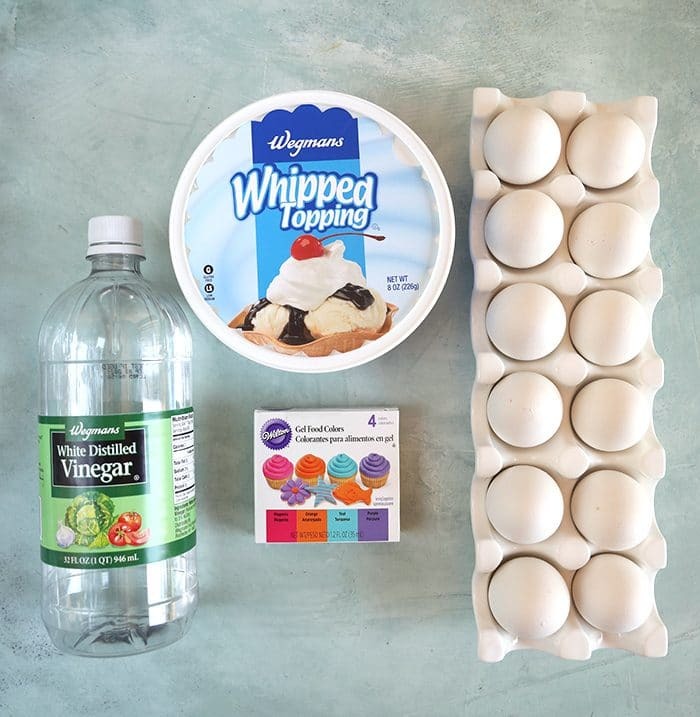 Just four ingredients, one of them being hard boiled eggs, and you have a less messy way to dye your Easter Eggs with Whipped Cream. My favorite holiday of the year is right around the corner and I couldn’t be more excited! Easter is on it’s way and with it comes all my favorite foods besides my beloved Honey Baked Ham. 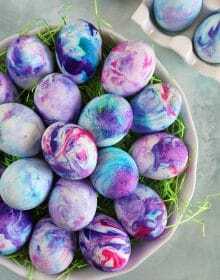 And who can forget the vibrantly colored Easter Eggs with the messy task of dying them so the Easter Bunny can hide them the night before. After he’s had a couple glasses of wine waiting for everyone to fall asleep….and then forgetting the next day where all the eggs are hidden so when one or two are still missing you know you’re in for a smelly situation in a few weeks when those eggs decide to ripen. No? Just our house? Well, anyway, we LOVE dying easter eggs and I’m always looking for new ways to get the task done. 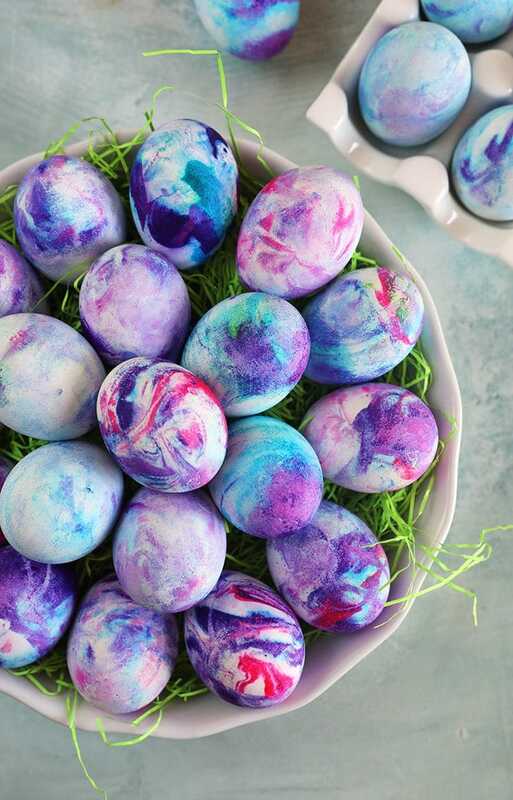 We’ve dyed eggs with rice and transferred patterns by dying eggs in silk ties. It’s fun to test out something new but when the shaving cream dyed eggs hit the internet I had to shun that one for sure. I like to eat the hard boiled eggs later….making egg salad or just eating them for a snack so the idea of eating an egg that’s been dyed with shaving cream made me shutter a bit. Since the shell of an egg is porous so the ingredients of shaving cream can get into the egg itself making it inedible. What a waste! So, I later realized whipped cream was an amazing substitute and soooooo fun to use…..AND if you accidentally lick your fingers while dying Easter Eggs in Whipped Cream you’re not going to gag because whipped cream is amazing. Dying easter eggs with whipped cream is exactly the same as dying easter eggs with shaving cream except you’re swapping out the shaving cream for the whipped cream. It’s a safer alternative to using a non food item to dye your hard boiled eggs. Soak your hard boiled eggs in vinegar for 5-10 minutes. 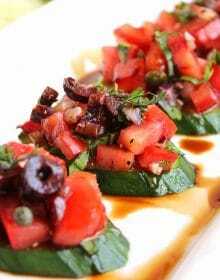 The vinegar is essential in helping the colors adhere to the shell. You can skip this step but your colors will be more muted. Dry your eggs and set aside. Spread the whipped cream, whipped topping or Cool Whip evenly in the wells of a muffin tin. 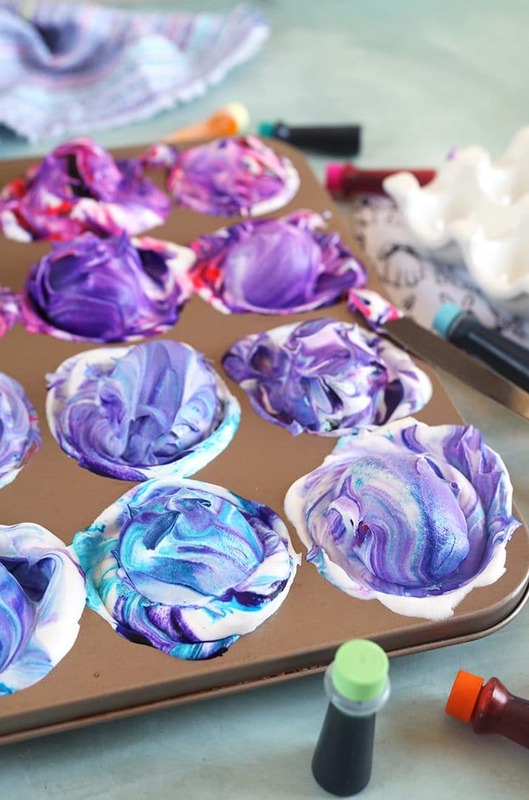 Using gel food color, drop dots of your favorite colors on top of the whipped cream. Swirl the colors slightly with a knife. Roll the eggs around in the whipped cream and let stand for 5-10 minutes. Rinse the eggs under cold water and dry with a paper towel. So, soooooo easy to do and this is super fun for the kiddos to do, too! Want a mess free easter egg dying experience? Follow these easy tricks! Cover your workspace with a disposable plastic tablecloth to keep surfaces clean and dye free! Disposable plastic gloves are great for keeping little fingers stain free! 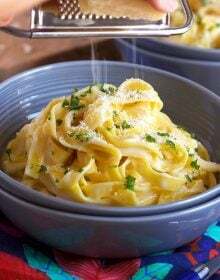 Cook your eggs in an Instant Pot using this recipe! Soak your eggs in vinegar before you start to give your colors an extra boost! Hard Boiled eggs will last in the refrigerator up to 7 days. Hard Boiled Eggs can stand at room temperature, safely, for up to 2 hours. I do not recommend freezing hard boiled eggs because the egg whites do not thaw well. Can you use Brown Eggs to dye easter eggs with whipped cream? 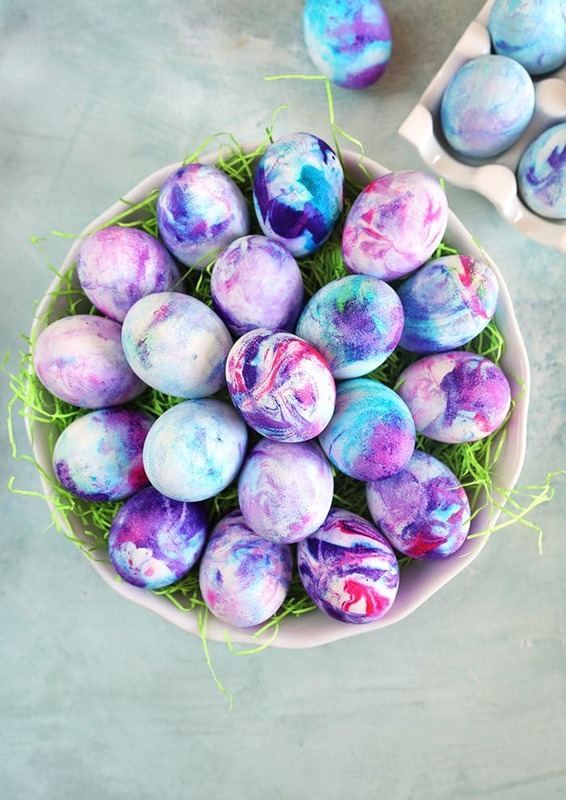 You can definitely use brown eggs instead of white eggs to make this cool whip easter egg recipe but know that brown eggs produce earthier colors than white which, sometimes, end up even more beautiful that the tie dyed easter eggs in the pictures. Less hippie, 70’s Flower Girl and more bohemian in my opinion. 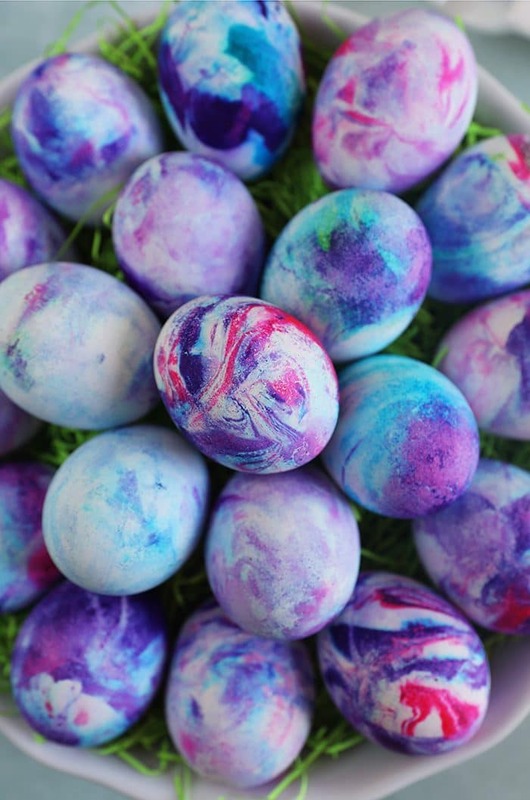 What can you make with Dyed Easter Eggs? 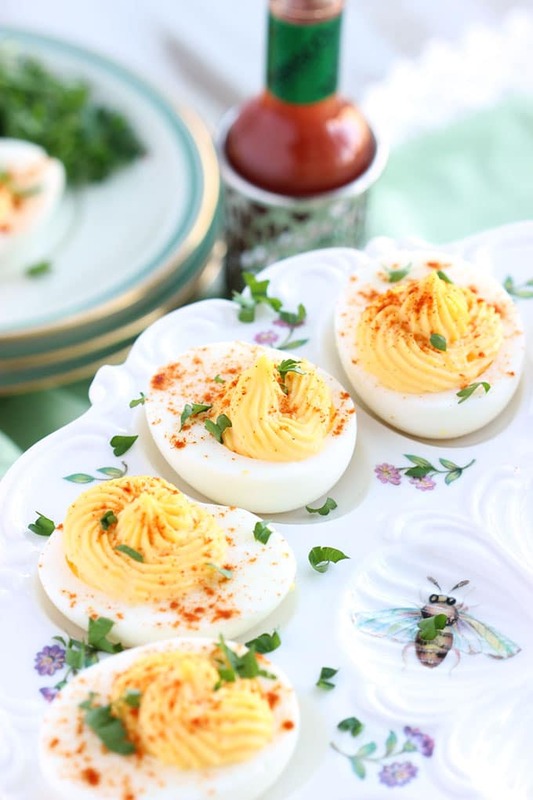 Pimento Cheese Deviled Eggs…OMG…so good. 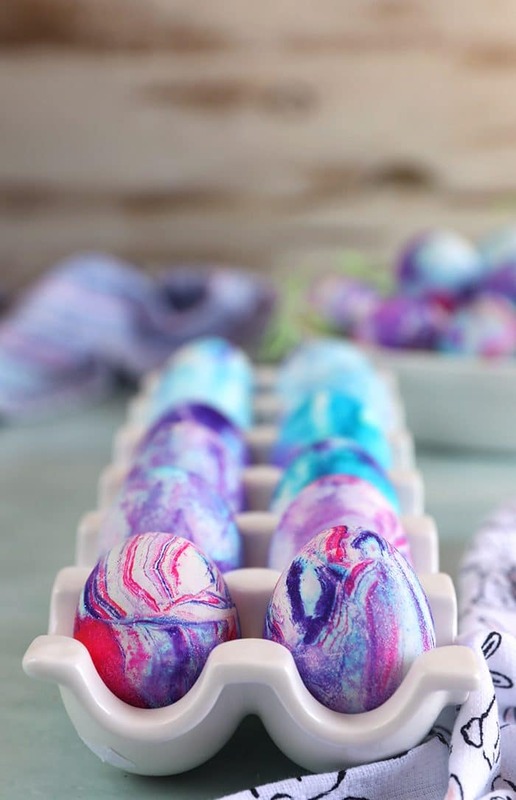 And if you’re looking for even MORE SUPER FUN EGG DYING IDEAS….check out THESE EASY TIPS! 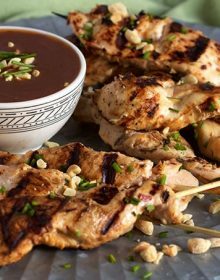 For more easy recipe ideas and behind scenes fun, follow us on Instagram! Super easy, dying easter eggs with whipped cream instead of shaving cream is the food safe way to color easter eggs with less mess or chance of spills! Place the eggs in a bowl and pour the vinegar over the eggs. 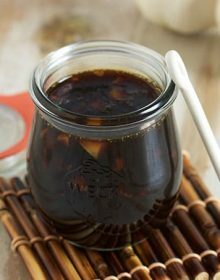 Allow the eggs to soak in the vinegar for 5-10 minutes. Carefully dry the eggs with a paper towel. Set aside. 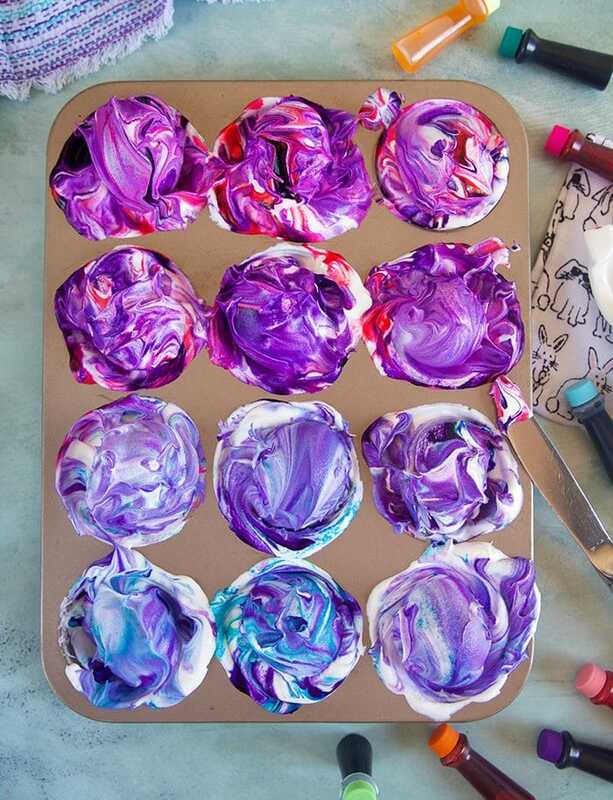 Fill the wells of a standard muffin tin with the whipped cream and add drops of food coloring to the whipped cream. 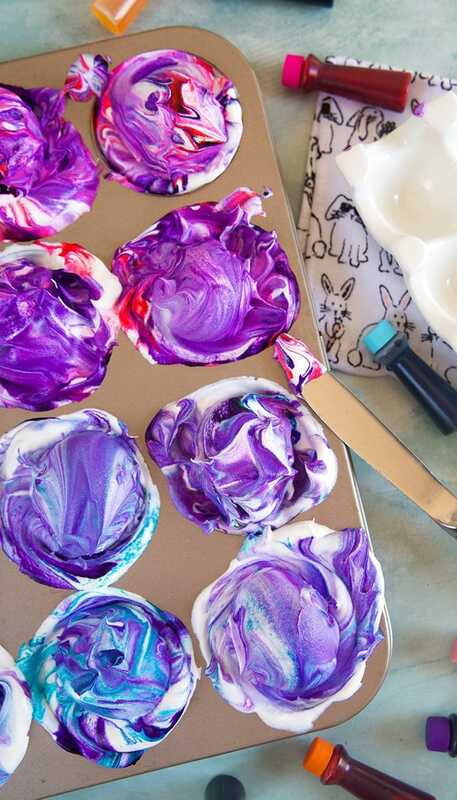 Using a knife, carefully swirl the food coloring into the whipped cream. Add one egg to each well and roll the egg in the whipped cream to coat. Allow the egg to sit in the whipped cream for 5-10 minutes. Remove the egg from the whipped cream and wipe clean with a paper towel. Alternatively, you can rinse under cold water and pat dry. 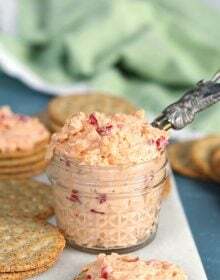 Use to decorate or enjoy as a snack! WOW this is so fun! Thank you so much for sharing! This is really a great idea! My kids enjoyed making them!! This is such a fun idea! I bet my kids would really enjoy seeing their designs unfold! It really is so much fun to make! My girls did this last weekend. Forgot to wear gloves LOL!!! These are so bright and colorful, my daughter is looking at the computer and telling me we have to make these!